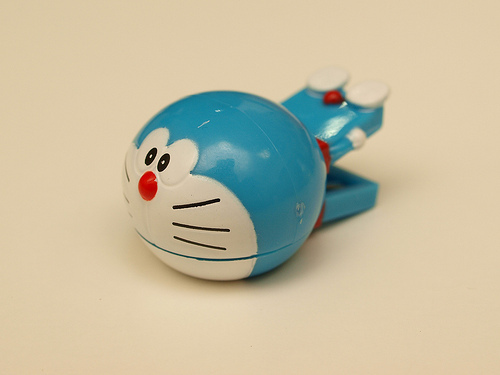 I wrote about a Doraemon pen case several days ago. Now, let me introduce another Draemon item from the B-LABO website. Ouch!! 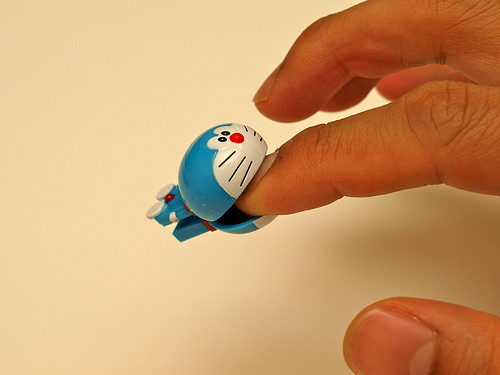 Doraemon is biting my finger!! No, just kidding (^^). 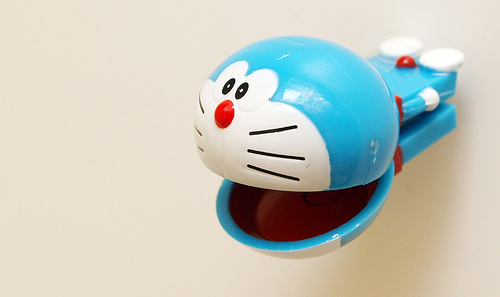 This is a Doraemon-shaped clip. Can you see that the inside of his mouth is also nicely painted!? Even for small things, careful attention is payed to the details. That’s why I love Japanese stationery (^^). Wheeeee! He looks he is flying. The view from the top and the bottom. His tiny red tail and yellow bell on his neck are very kawaii (cute). Look! 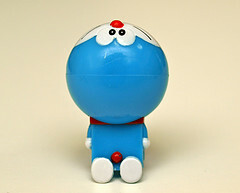 There is also an original yellow Doraemon. He still has his ears!! 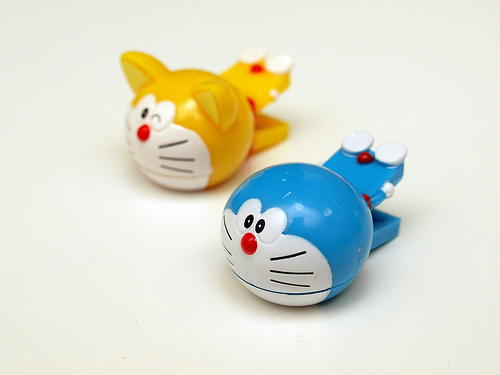 At first, Doraemon was a yellow cat-shaped robot. 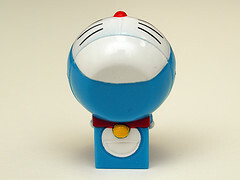 But his ears were bitten off by a mouse, and Doraemon turned pale when he looked into the mirror… What a sad story (T_T). I want to have each of these. Maybe you do, too! Unfortunately, these are not for sale but are given as free gifts with other purchases. I hope there are other characters’ clips on the way as well.